Bio City Map is a limited edition cyanotype made from the drawing of a microcosmic world, created through the magnification of the imagination and the competing strains of bacteria that were grown on a petri dish. Each hand-made print embodies the physical collection of microbial life, applied science and observable nature. 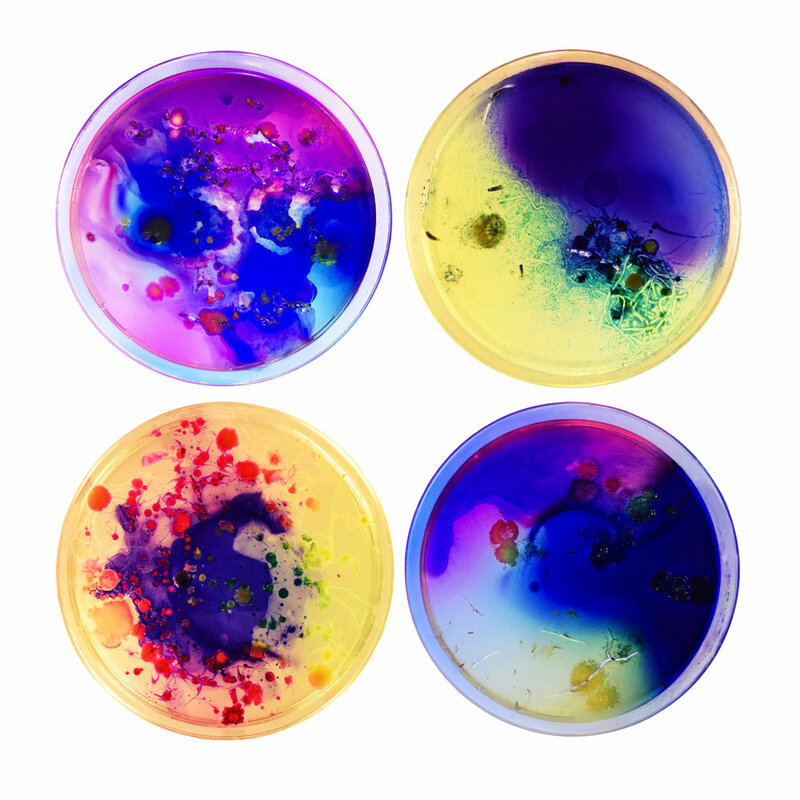 The Bio City Series are a drawings of microcosmic worlds created through the magnification of competing strains of bacteria that were grown on a petri dish. They embody the physical collection of microbial life, applied science and observable nature magnified through the imagination. Since life is ephemeral, the lines on the drawings keep a visual hold of a disappearing biological framework, both real and impulsive. This collective representation of physical ephemera and imagined communities are organizational fields for spatialpractices rooted in cartography and geography.